ALEXANDRIA, Va. - More than 120 Republican women leaders from across the nation gathered at the National Federation of Republican Women's (NFRW) board meeting on September 15, where they pledged support for President Donald Trump's Supreme Court nominee, Brett Kavanaugh. The NFRW board unanimously adopted a resolution calling on the U.S. Senate to confirm Kavanaugh immediately. 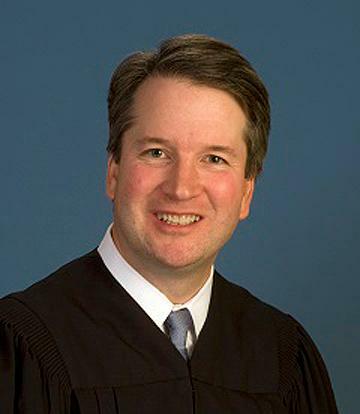 Kavanaugh, who currently serves on the U.S. Court of Appeals for the District of Columbia Circuit, is an eminently-qualified and distinguished jurist with a sterling legal reputation and around 300 written opinions. The Senate Judiciary Committee is set to vote on the nomination next week. The NFRW is committed to putting the full force of its grassroots network behind Kavanaugh and has been building an advocacy campaign in his support since President Trump announced the nomination on July 9. "Judge Kavanaugh is a brilliant legal mind who believes in and will protect our constitutional liberties," NFRW President Jody Rushton said. "Unfortunately, Senate Democrats have turned the nomination proceedings into such a partisan circus that even Justice Ginsburg is lamenting the downward spiral of the modern-day confirmation process. However, Republican women are 100 percent behind Judge Kavanaugh, and we firmly believe he will be confirmed and seated as a U.S. Supreme Court justice by October." Read the Kavanaugh resolution here.